In my July Monthly Income Report, we’re looking back on what worked, what didn’t, what lessons we can learn and how we can best move forward to achieve our dreams. I’ll also share my business strategy and tips that helped me earn $13,700+ blogging in one month. Welcome back to Root + Revel’s monthly traffic + income reports! You might remember back in January we published an annual income report for 2017 (hint: I earned over $75,000 blogging in my second year!). But, as promised, moving forward I’m going to be sharing monthly reports so we can dive deeper into the every day of running a blogging business. 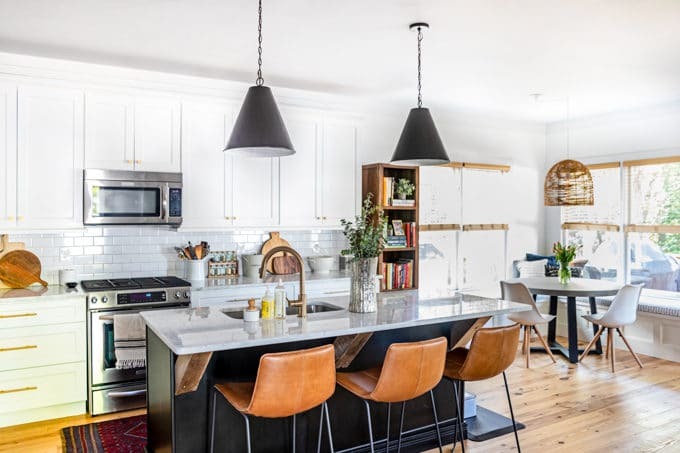 I know this might seem a little crazy to you–or perhaps you’re just here for the healthy living tips (might I recommend this modern farmhouse kitchen tour to hold you over), but let me explain. P.S. If this isn’t your first rodeo and you’ve been following allowing with these income reports for a while, you can skip to the next section titled Total Income. For years, I’ve been reading the income reports of many successful bloggers, like Pinch of Yum, Making Sense of Cents, Smart Passive Income and Show Me the Yummy. And they’ve inspired me so much, not only to know what’s possible in the world of blogging as a business, but also with their incredible ideas and generosity in sharing their mistakes and successes along the way. And now, I want to return the favor. I feel like I’m at a point with Root + Revel where I have something valuable to share about making money online, something that I hope will help you learn how to make money doing something you love, something that lights you up every day and makes you excited to get to work, something you’re passionate about, something that impacts others for the better, something you can do from your couch in your jammies or on a beach in the Caribbean or at a desk in a co-working space at whatever dang time you please because YOU’RE YOUR OWN BOSS. 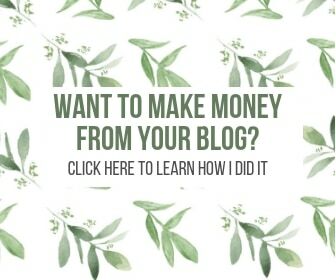 to help anyone interested in starting a blog learn the ropes and find inspiration and motivation to be successful and change your life, whether that’s simply finding an outlet for your passion, improving your financial situation by making some extra money, or finally quitting your job and making six figures working for yourself. I hope that by sharing my own journey, my transparency and story might help you to achieve your dreams. to show fellow skeptics (hi, I used to be one of you when I was a full-time journalist who wrote for real publications and turned my nose up at bloggers who were running their blogs without integrity, transparency and a business mindset) that it IS possible to make money online and to do so while keeping your soul intact. to help myself. Yes, I’ll admit it. I do have some selfish motivation for publishing these income reports. Because quite honestly, it’s a great opportunity for me to reflect on my business, to look back and see what worked and what didn’t, to learn from my mistakes and to track my achievements. I’ve been self-employed for nearly a decade at this point, but since I began blogging full-time in January of 2017, my life has exponentially improved. I’m finally writing the stories that I want to tell, I’m finally helping others to live happier, healthier and more fulfilling lives, and I’m doing it ALL on my own terms. I’m so proud and happy to report that life is so much better now that I’m truly my own boss and a full-time blogger. I look forward to each and every day–I wake up excited to work, I’m always learning something new and I love the challenge of running your own business, constantly coming up with new ways to monetize and help people, simultaneously. Whew! I know that’s a lot to take in. One of the things I hope people will take away from these reports is just how much work, energy, thought and heart goes into running a blog. It’s not just as simple as slapping up a few words and an iPhone photo and pressing publish. Before we get into the details, I also wanted to share my traffic totals for July. How I Reversed my PCOS, Leaky Gut + Insulin Resistance Naturally! Note: This screenshot comes from my dashboard in ConvertKit. Note: RPM stands for Revenue Per Mille, or the revenue earned per 1,000 pageviews. When you look at RPM, you put the focus on optimizing your revenue as efficiently as possible, rather than just getting the most people to your site. For example, a site with 100,000 pageviews and a $1 RPM makes $100, while a site with 20,000 pageviews and a $10 RPM makes $200. This is good news because it means you don’t have to have TONS of traffic to make a great income. In fact, when you niche down and focus on providing as much value as possible to your current audience, you earn more money. Hourly Rate: I worked on the blog for a total of 54 hours in July (Still really focused on implementing what I’ve learned fromthe 4-hour Work Week). With a gross income of $13,561, that means I earned roughly $251.12 per hour. Not too shabby! If you look at my net income instead, my hourly rate drops to about $177.96/hour, which is above my goal of $100 per hour. This is super exciting, as it’s the first month this year that I’ve been above my goal! I use Toggl and RescueTime to track my time. BUT… our affiliate income has dropped by nearly $2,000/month since June and our traffic has remained relatively unchanged this entire year. Likewise, our social media following hasn’t grown much after we took a major step back on our efforts there–and while yes, that’s to be expected, I guess there was part of me that hoped that after reaching over 50,000 followers there would be a lot of organic growth happening without much effort on our part. Unfortunately, that’s not the case and Instagram’s ever-changing algorithm continues to punish our posts, meaning our engagement can be super low because IG isn’t even showing our posts to more than 1-2% of our followers. Anyone cracked that code? Please share your tips in the comments below! All that being said, we really did have another great month and a year ago if you told me that I’d be making over $13,000 per month from my blog, I never would’ve believed you. I think growth is like that–you hit one milestone and then the glamour wears off and it’s onto the next. Matt often tells me I’m like Hamilton–“you’ve never been satisfied”. Ha! It’s kind of true, kind of a not great quality (especially if you have mindfulness and gratitude goals like me) and also, perhaps, the most important quality you need if you’re going to be an entreprenuer. To always keep striving for more, always trying to improve and better your business, never content with the status quo. Ads: I mentioned last month that I was switching ad networks from Mediavine to AdThrive and so far, I couldn’t be happier with my decision. In fact, after my first two weeks of being with AdThrive they sent me this email: “Congrats! You’re earning 39% more than before with FEWER ads! It’s so great to see you running a much lighter, more reader-friendly ad layout and still earn more!” Is that not amazing news? Hopefully it will only continue to get better. Meanwhile, I’m also loving the video player AdThrive uses–have you seen it yet on the site? I’d love to hear what you think from a user perspective! New Affiliate Resources Page: I’ve shared before how important it is to have a quality resources page that’s both valuable to your readers and also a great place to naturally include affiliate links and increase those earnings. 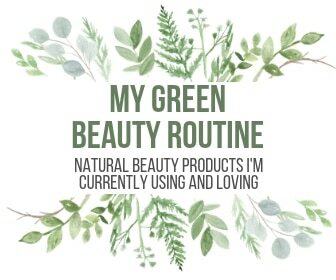 We’ve got a general resources page, one for bloggers, a green beauty page and just this month I added a new page: green cleaning. Here’s hoping our affiliate income for cleaning products gets a nice boost! Adding New Email Opt-Ins: My email list is one of the most valuable aspects of my business and I thought it was time to add some new content upgrades to entice more readers to subscribe. 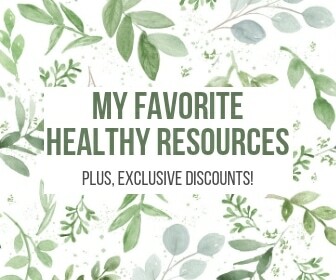 So this month we added this baby registry checklist and tracker, this sponsored content spreadsheet and tracker, this 10-step action plan for affiliate marketing and this downloadable shopping list for my favorite grocery store. Getting traffic to those pages is going to be the best way to convert those subscribers, but I’m proud to say that we’re averaging about a 60% conversion rate on these four new opt-ins right now. We also ran a MASSIVE giveaway at the end of July that will hopefully net us a couple new thousand subscribers. Blogging Course: We’re officially less than 6 weeks away from Baby K’s arrival so I’ve been working hard to plan for what little semblance of a maternity leave I might be able to take. Other than getting ahead on blog posts, I’ve been working on my course launch. I met with the most amazing course designer to lay out the blueprint and content plan for the course, which is going to be all about making money with your blog. It’s coming together so well and I can’t wait to share it with you! !Wanna help? Fill out this survey so I can make sure the course answers all of your questions and provides the exact kind of roadmap you’ll need to achieve your own success. I have GOT to launch my blogging course, first and foremost. Having this done before baby arrives is my #1 goal. So it’s time to hunker down, finish B-School and get this thing out into the world. Love this thank you for sharing!! Would love to know what caused the huge jump in email subscribers in June. YGG!! Thanks for the kind words and writing in! So, there actually wasn’t a huge jump in email subscribers for June–in looking at my subscriber growth for the year, I average about 1,110 new subscribers per month. In June, we had 1,124 new subscribers, so that was right in line with our typical growth. I think what you’re referring to is that on June 8th there was a spike in subscribers (219 new subscribers compared to our daily average around 36 new subscribers). To be totally honest, I couldn’t tell you what caused this. In looking at Google Analytics, we didn’t have a spike in traffic at all and the traffic we did have didn’t spike to any particular page with an email opt-in. We didn’t run a giveaway or do anything special on that day, so I’m at a total loss. But sometimes that’s how blogging goes–as much as I wish it weren’t the case, sometimes posts just go viral or traffic just spikes or more people decide to subscribe or follow for no discernible reason whatsoever. When it’s good news, like in this case, it’s easy to say “don’t question it”, but when you can’t figure out why something bombed or even why something did well so you can replicate it, it can be really frustrating. This is something my team and I talk about a lot. For example, Butcher Box is BY FAR our best-earning affiliate. Why? Do our readers prefer meat boxes to green beauty or organic wine or natural supplements? Maybe, but our numbers show a clear interest in all of those categories. And if it is meat boxes, then why Butcher Box and not one of the other 6 sources we recommend? Perhaps it’s that Butcher Box offers more compelling promotions and they pay us more than other affiliate programs do per order. We’ve been digging into these stats to try and figure out why our success there is so great so that can we replicate it with other partners. So I’ll report back on those findings soon. For next month, please leave a comment below if you have a question that you would like me to answer. Please know, I am keenly aware that I have the flexibility, freedom and finances to work on this blog as my full-time job because of YOU–dear reader, sharer, Pinner, commenter, Liker, customer or silent follower of Root + Revel. Your support and participation in the R+R community reaches beyond just this website. This month, I donated to the Dave Thomas Foundation for Adoption. As I mentioned, I’m due with my first child in September and have felt keenly aware of how lucky I am to have a) been able to conceive b) have a healthy and uneventful pregnancy and c) have a safe home with two loving parents, an amazing support system and plenty of healthy food, clean water to bring our baby boy home to. I know not every family and kid is as fortunate and to show my gratitude and help others, I thought it apropos to donate to this charity, which funds adoption agencies whose sole mission is to find permanent, loving families for the children most at risk of aging out of foster care without being adopted. Disclaimer: This post includes affiliate links, and I will earn a commission if you purchase through these links. 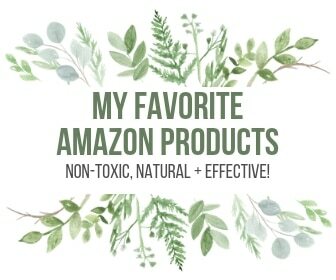 Please note that I’ve linked to these products purely because I recommend them and they are from companies I trust. There is no additional cost to you. All income comes from 1 website? I am currently running Mediavine ads on my blog and have similar traffic to you. I feel like Mediavine cares so much about their publishers and does so many things for us that it would be hard for me to ever switch. However income is obviously important and I can’t deny those numbers! Do you have any further insight into switching from Mediavine to AdThrive? Thanks so much for the inspiration! You’ve motivated me to get to work monetizing, and I’ve already seen financial growth since I started implementing some of your strategies. I’m growing at a rate of 2k+ followers per week of IG, and I’m more than happy to share what I’ve found works and doesn’t as I move along. Hi Toni–So happy that you’ve seen some financial growth since implementing–congrats!! Thanks for the tips on IG and well done on your growth! I have started doing more personal stories, and then a few personal posts here and there… I just don’t like social media so have to decide what’s best for me vs. for the business, and it’s not always a match. 😉 I used to do 30 hashtags and didn’t feel like it made a difference, but will consider doing that again. Thank you! Congrats on another amazing month! I understand your disappointment in the drop in affiliate income, yet somehow you still managed to have your best month yet even with that–so it’s great to see the stability you’re creating across the business that helps keep your income consistent, even with fluctuations. Bravo!